"This is a beautiful place overlooking the river with lovely..."
Situated in Mukdahan in the Mukdahan Province region, Bo Tree Cottage on The River offers accommodation with free WiFi. All units feature air conditioning and a flat-screen TV. A balcony with pool views is offered in all units. A continental or Asian breakfast can be enjoyed at the property. The bed and breakfast offers a seasonal outdoor pool. Guests can relax in the garden at the property. 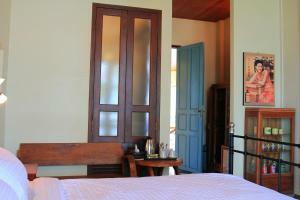 Savannakhet is 24 km from Bo Tree Cottage on The River. "Would highly recommend it for a peaceful retreat."